"Bazaars have checkpoints complete with metal detectors and facial recognition or iris scan machines," Dr Rachel Harris. At the UN Human Rights Council Universal Periodic Review at least 13 states raised the issue of the mass internment camps recently established in China’s north-western Xinjiang Uyghur Autonomous Region. China responded angrily – and predictably – describing the statements as politically driven accusations which disregarded the facts. So what is the reality in Xinjiang today? 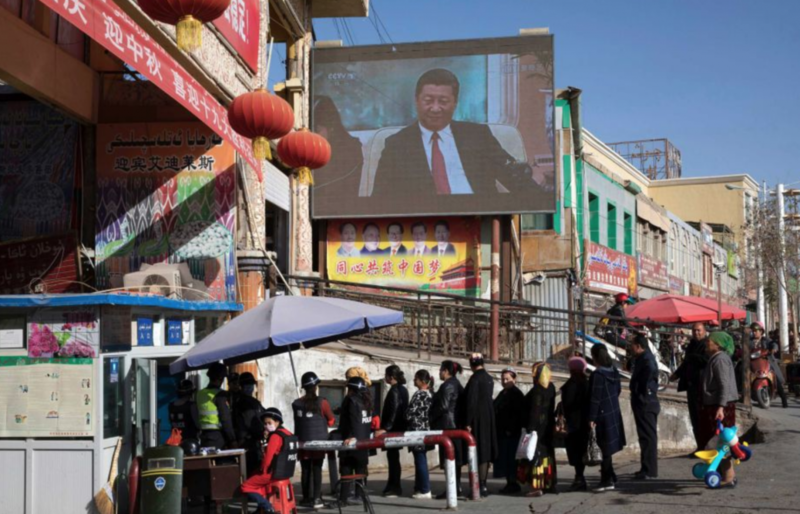 In recent years the Xinjiang authorities have introduced a raft of new laws and systems of securitisation and surveillance in the name of countering extremism and terrorism. Human rights organisations have focused on the construction of a massive system of internment camps where an estimated one million Uyghurs and other Turkic Muslims are currently detained without trial, but life outside the camps is not so different from inside. Thousands of “convenience police stations” have been established throughout Xinjiang’s towns and cities, and tens of thousands of new security officers have been recruited to implement Xinjiang Party Secretary Chen Quanguo’s “grid-style social management.” The region is now heavily arrayed with the latest high-tech surveillance equipment. Bazaars have checkpoints complete with metal detectors and facial recognition or iris scan machines. Phones are scanned for suspicious apps and content. Cars must be equipped with GPS trackers, and kitchen knives are etched with their owner’s identification details. Mobility is seriously, and selectively, restricted for Xinjiang’s Muslim peoples. Uyghurs must obtain an official “convenience card” if they wish to leave their home town. There are numerous checkpoints. Passports have been confiscated, and Uyghurs are prohibited from overseas contacts; having a relative abroad is itself a sign of religious extremism. This is supplemented by low-tech surveillance. Local people are asked to monitor and report on each other, and must participate in ideological education and criticism meetings. The “becoming family” policy has brought surveillance right into the home, with a programme of home stays with Uyghur families by Han “relatives” who are expected to report on signs of “extremism”. What do government sources mean by “extremism” and “terrorism”? 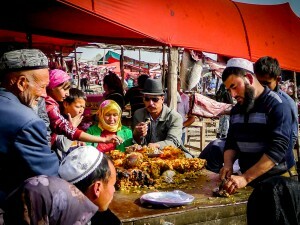 Beginning in the 1980s, Xinjiang – just like other parts of China and Central Asia – saw a broad-based Islamic revival, expressed in projects of community mosque building, the widespread adoption of daily prayer, fasting, and forms of Islamic dress, and many debates about how to live a good Muslim life in 21st century China. As part of my research project, Sounding Islam in China (2014-17) I spent time in rural southern Xinjiang and observed the rise of these new sensibilities among Uyghur villagers, and the ways that new styles of Islam intersected with local traditions. China views these developments as a threat to its stability, development projects and expanding influence through the One Belt One Road Initiative. Far from targeting religious extremism, government campaigns criminalise the everyday practice of Islam. Government sources identify “75 types of behaviour that show religious extremism”. They range from calling for jihad to praying, eating halal, fasting, growing a beard, giving up smoking and drinking, possessing a Qur’an, or listening to religious media. Since 2001, China has consistently explained incidences of local unrest or violence in Xinjiang as premeditated terrorist attacks. We know of several violent incidents from 2013-14 which did involve the deliberate targeting of Han Chinese civilians. However, many more incidents began as peaceful demonstrations which were met by police violence and were subsequently portrayed as terrorist attacks. Increasingly, non-violent expressions of resistance and the expression of everyday religious faith are described as terrorism. We now have overwhelming evidence that as many as 10% of Xinjiang’s Muslim population, over one million people, have been indefinitely detained in internment camps. We know that these include vast prison-like compounds, equipped with barbed wire fences, reinforced security doors and windows, surveillance systems, watchtowers and guard rooms. For over a year, Chinese officials denied the existence of the camps. More recently, responding to Western media reports, they have acknowledged their existence, and now portray them as “vocational training centres”. Detailed studies of government spending reveal, on the contrary, that spending on prison facilities increased hugely in 2017 while spending on vocational education actually decreased. Procurement bids for these facilities include grim lists of items including handcuffs, batons, chains and “tiger chairs” used to restrain prisoners. Government documents for internal consumption explain that people are detained because they have been infected by an “ideological illness”. Forced repetition and self-criticism are central to the “cure”. Accounts by former detainees detail a strict regime of marching, singing revolutionary songs, lectures on the dangers of Islam, and quizzes on the thought of Xi Jinping. Detainees must apologise repeatedly for “blindly following” Islam or Uyghur nationalism, and they must criticise their fellow inmates. Those who refuse or fail the tests are punished with solitary confinement, beatings and food deprivation. Although government sources continue to claim they are countering extremism, the situation has moved far beyond the sphere of religion and must now be read as a broad assault on Uyghur culture and identity. The thinking behind these policies has been most clearly expressed by Hu Lianhe, who argues China must abandon its current nationalities policies and promote the blending together of all ethnic groups into a single “state-race”. We can see this approach being applied in several ways: through experiments with newly established “Unity Villages” within which locals and Han migrants are given cash incentives to start interethnic families; through the detention of numerous Uyghur cultural leaders including academics, writers and musicians; and through the emphasis on separating Uyghur children from parents deemed ideologically “unsafe” and raising them in state orphanages. At the UN hearing, a Uyghur official said, echoing a 1950s song, “Xinjiang is a nice place. I’d like to say, welcome to Xinjiang.” The government promotes Xinjiang as a safe and welcoming destination for tourism, but the ethnic culture served up to tourists is a version that has been hollowed out. We can see this most clearly in the old town of Kashgar, which has been bulldozed and rebuilt to facilitate the gaze of Chinese and foreign tourists. Their safety is ensured by the omnipresent security apparatus, and their harmonious experience is underlaid by copious amounts of singing and dancing. What might our long-term responses to this crisis involve? Many are now voicing deep concern about the long-term impact of these socially and economically devastating policies. Many have drawn parallels with China’s Cultural Revolution, but the current policies are much more tightly controlled, and they specifically target minority identity and culture. In this, they more directly recall the actions of coloniser-settler regimes in Australia and the Americas, whose territorial demands and “civilising mission” destroyed indigenous communities and cultures. It is striking to observe these parallels at a time when Western governments are finally issuing apologies and making reparations to indigenous communities, and when vibrant revival movements are underway. As an academic specialising in Uyghur expressive culture, I am now increasingly concerned about the loss of Uyghur cultural traditions. We urgently need to create accessible archives, and we also need to find ways to sustain traditions in the diaspora in forms that are not hollowed out, which retain meaning and relevance for local communities. 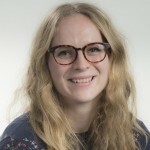 Rachel Harris is currently principal investigator on a new research project on Uyghur heritage in the diaspora, supported by the British Academy Sustainable Development Fund. Her forthcoming book, Soundscapes of Uyghur Islam, traces the rise and violent fall of the Islamic revival in Xinjiang.